DLive, the world’s first and largest streaming platform on blockchain, announced that it’s launching on Android and is available for download on Google Play and on the company’s website. The platform, which launched six months ago, has an active community of over 500,000 monthly active users who have paid a combined $2.6 million in crypto to creators in the form of upvotes, gifts, and donations since launching. 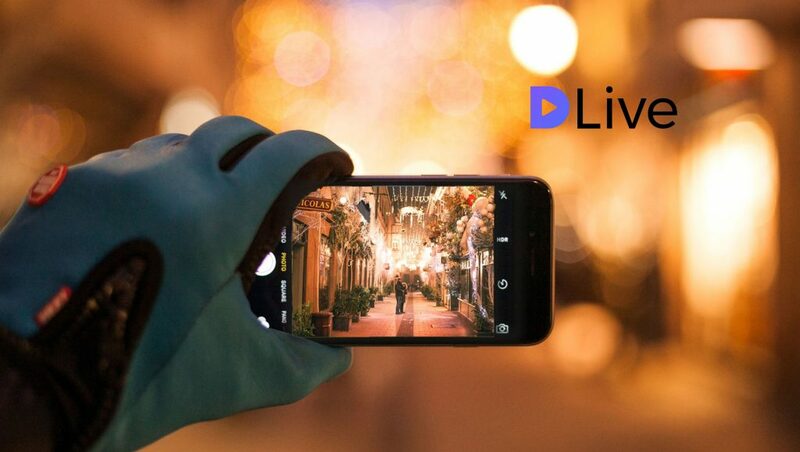 DLive is a live streaming video community that’s built on top of the Steem blockchain. On DLive, the community determines what content should be surfaced through an upvoting and flagging system. As a decentralized platform, DLive does not take any revenue nor fees from creators. On DLive, creators can earn STEEM tokens by receiving upvotes on their content and gifts from their fans. DLive also has a dedicated content management team which manages over 2 million STEEM Power to reward creators directly based on the quality of their videos. Viewers can also earn tokens by upvoting content, making meaningful comments, and referring new users to join DLive. Previous ArticleLiveMe Launches Broadcaster Development Program to Invest in Independent CreatorsNext ArticlePrimer: What is Social Media Intelligence in 2018?